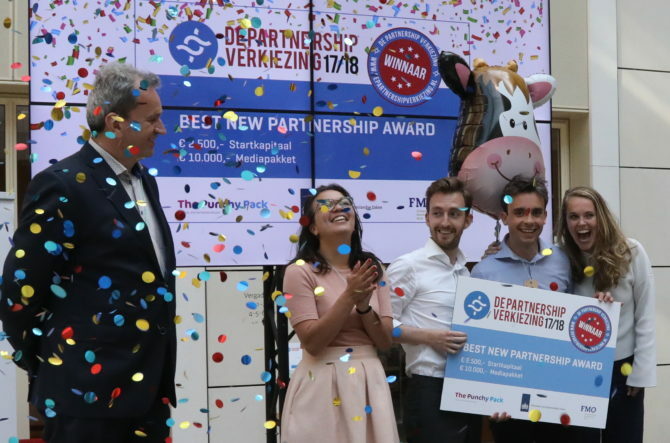 The Partnership Verkiezing has a winner! Team Rabobank ‘The Cool Cow Collective’ won the ‘Best Partnership Award ’17/’18’ for their sustainable business-case! Their easy-to-use financial planning app will professionalise Kenyan dairy farmers. Congratulations on your spectacular sustainable business-case, team Rabobank, and with your prize of a starters capital, media packet and advisory lunch with the jury! Next step, implementation! View the full pitch here. Curious about the Partnership Verkiezing? Reach out and sign up for the next edition!